The Kyneton Botanic Gardens has recently been reviewed with a Master Plan developed for its ongoing upgrade and development. The Friends group intends to help activate this plan. The Macedon Ranges Shire Council commissioned Andrew Laidlaw* Design to draft a master plan in order to prove a new direction for the Gardens, one that respects the Gardens’ past, and guides its rejuvenation and ongoing management. The aim is to make the Kyneton Botanic Gardens a relevant 21st century botanical garden. Established in 1858 during the boom which came with the gold rush, the Kyneton Botanic Gardens are located 80kms north west of Melbourne, and form part of a network of regional botanical gardens. The Gardens never appear to have had a fully realised design, but nonetheless, have considerable botanical and historical value and are listed on the State Heritage Register. 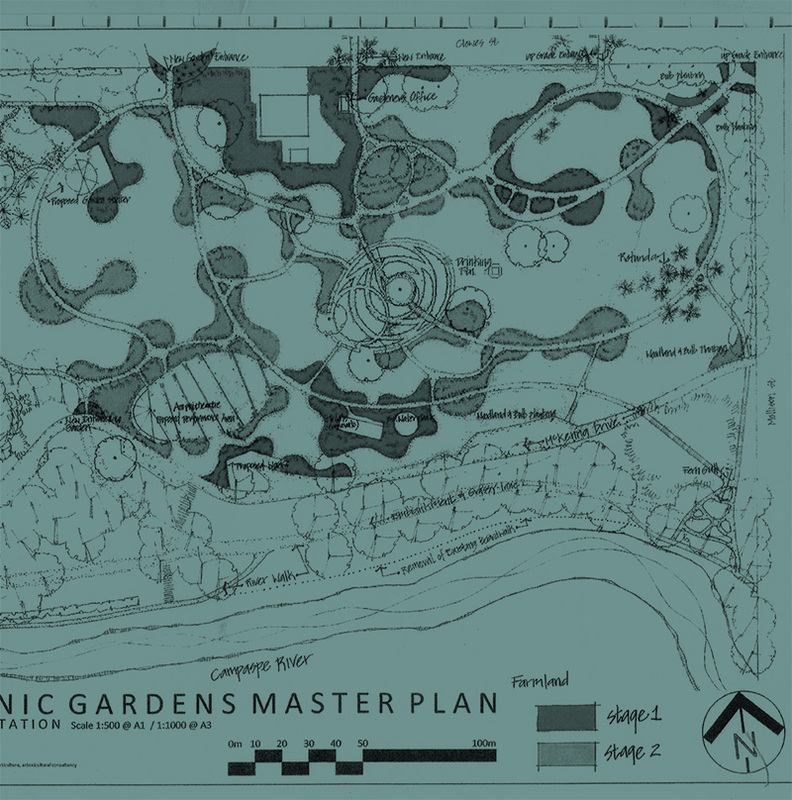 This Master Plan provides a new direction for the gardens.